Concrete is used in most homes in some aspect. Typically you will see it poured for the foundation to a new house being built. You may also see it for a patio or sidewalk to a home. Concrete is very versatile for home needs, and a professional Concrete Services in Fort Worth, TX can get the job done for you without the hassle or mess. Let's say you want to put in a patio. All you have to do is figure out where and what size, and we'll do the rest. The process of putting in a concrete patio is very labor-intensive. We take care of it all and give you a wonderful, new patio to enjoy for years to come. Want to re-do your sidewalk, or add one in? We can take care of that! Want to put in a garage and need a concrete base installed? Sure, we'll take that on. Concrete is our business and we'll give you the professional job you expect and deserve. Our Concrete Services in Fort Worth, TX allow you to discuss your needs so our team can figure out what's best for you. We'll customize the perfect concrete-based project just for you. 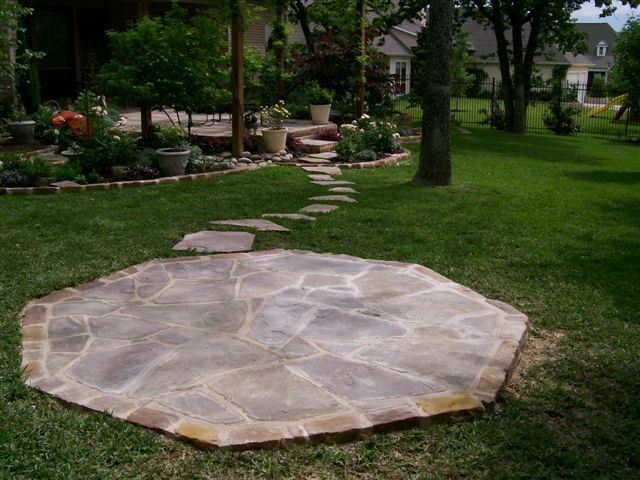 Adding in a patio, walkway, or other similar Concrete Services in Fort Worth, TX adds value to your home. You can then landscape around the new areas, adding beauty and major curb appeal to the property. This type of project is a smart investment to your home. Whether it's a large area like a foundation to a home or addition, or just repairing a section of walk-way, we're equipped and skilled to tackle any size job. We respect your property and existing structures while providing an efficient job. We clean up and make the area crisp and clean, just as you'd have it.